Many of these destinations are trending as a result of increased bookings from families, in particular, multi-generational families that are choosing a villa over a resort stay. Villas of Distinction®, the world’s premier luxury villa rental company as part of World Travel Holdings, announces this year’s most sought after villa vacation destinations for 2017 based on industry insights — Italy, Hawaii, Jamaica, St. John, and Florida. 1. Italy – “This is our strongest destination in terms of bookings,” said Lassman. “The fact that the Euro and U.S. dollar are almost on par is good for business to Europe, especially Italy. 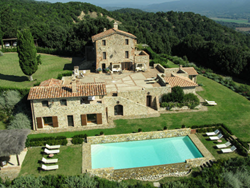 In addition, Italy continues to be a captivating destination for travelers and currently the airfare is under $1,000 per person, which makes it even more attractive.” Italy is the perfect destination to immerse in and Villas of Distinction’s personal concierge can create a customized cultural experience. View villas in Italy. 2. Hawaii – “Villas of Distinction is seeing substantial growth in Hawaii, in particular, the Big Island and Maui,” Lassman stated. “Vacationers who have experienced the Caribbean and are looking for an alternative warm-weather destination with breathtaking views and a slew of outdoor activities are considering Hawaii. In addition, it is always a popular bucket list destination.” View villas in Hawaii. 3. Jamaica – A villa vacation to Jamaica continues to provide the best value of any Caribbean villa experience. Staff including a chef, butler, housekeeper and laundress are included in the cost of most Jamaica villas. In addition, the island has so much to offer in the way of activities from snorkeling, scuba diving, hiking and horseback riding to climbing the world-famous 600-foot-high Dunn's River Falls or enjoying Jamaica’s 27 native species at the Rocklands Feeding Station. View villas in Jamaica. 4. St. John – “Villa bookings to this area are up 20 percent year-over-year,” stated Lassman. “For people who want to stay within a U.S. territory, St. John offers the best variety of villas of the three islands, and is less frequented by first-time travelers to the U.S. Virgin Islands.” View villas in St. John. 5. Florida – It is no secret that Orlando, Fla. is one of the most popular destinations for families and multi-generational travelers. In 2016, Villas of Distinction added an array of villas in Orlando located in Reunion Resort and Encore Club Resort just minutes away from the major theme parks and boasting a plethora of championship golf courses designed by professional golf legends. The kid-friendly luxury homes range from 5-14 bedrooms and include amenities for everyone from private home theaters, game rooms/arcades and even a bowling alley to private swimming pools, summer kitchens and fitness rooms. View villas in Florida. Villas of Distinction®, as part of World Travel Holdings, is a full-service premier luxury villa provider with an extensive portfolio of thousands of privately-owned villas in more than 50 luxurious destinations including the Caribbean, Mexico, Hawaii, Europe, the Continental United States and many private Islands. For nearly 25 years, Villas of Distinction and its team of expert concierges have been helping travelers find their perfect vacation home without a membership fee. The company takes pride in offering customized vacations to meet every imaginable need, with most villas featuring private pools, butlers, maids and chefs. http://www.VillasofDistinction.com.